If you’re considering switching banks, it’s important to take the time to find one that fits your needs. When switching banks, be intentional and do your research. Closing an old bank account can be time-consuming and inconvenient, so make sure you prepare beforehand. However, don’t let fear stop you from finding a financial institution that meets your needs. 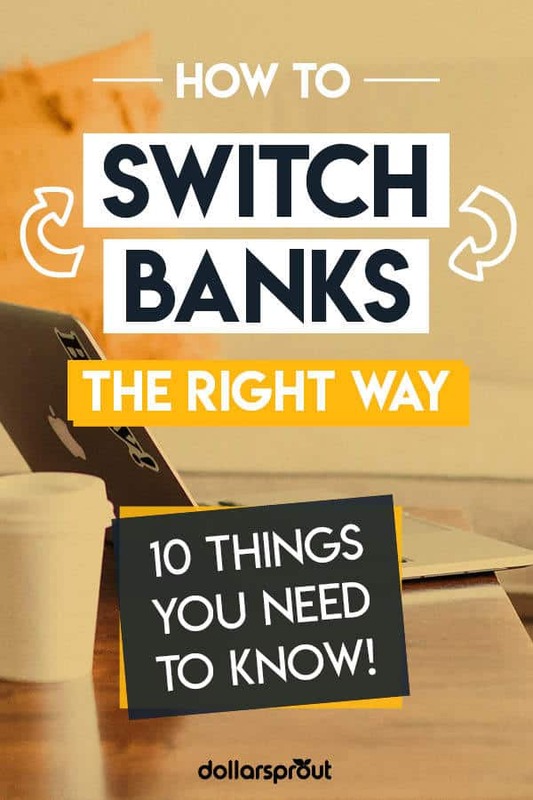 If you’re wondering how to switch banks with minimal friction, follow the steps below. Is It Easy to Switch Bank Accounts? Will Switching Banks Affect My Credit? How Much Does It Cost to Change Bank Accounts? Does your current bank no longer meet your needs? Whether it’s high fees, lack of ATMs, or poor customer service, make a list of the reasons you want to switch. This will help you decide on your top priorities when looking to change banks. To ensure your next bank works for you, take the time to do research and find one that hits the majority of your wish list. Choosing a new bank can take time. Consider what’s important to you in a financial institution. For example, finding a place that has branches and ATMs near you may be at the top of your list. Other important considerations include competitive interest rates for checking and savings accounts, account fees, minimum deposits and balances, and so on. Before switching banks, make sure your new one has the services that are at the top of your wish list. Read all of the fine print and look at all account options within a bank. Most banks offer multiple checking and saving account products. Compare everything a bank has to offer to ensure you find the right fit for your situation. Research account fees and interest rates based on your average account balances. Look up the closest ATMs to both your home and work addresses, since you’ll likely need both. Check what complaints have been filed against the banks you are considering using the Consumer Financial Protection Bureau’s consumer complaint database. If you prefer online banking, you’ll need to open a bank account online. Once you find the right bank, open your new account and fund it with the minimum balance. Make sure you read all the fine print and meet all requirements. Many financial institutions offer the option of doing the entire process online. If you can fund your new bank account with enough to cover rent and bills for the month, this will make the process of switching banks much easier. It can take a couple of days for the money to show up in your new bank account. Wait until your account is fully funded before making the move. Activate your debit card and make note of your new bank account number. Being methodical about the process of switching banks will simplify it. The first step is to pull a year’s worth of statements from your account and review them closely. You can usually find the statements online when you log into your bank account. 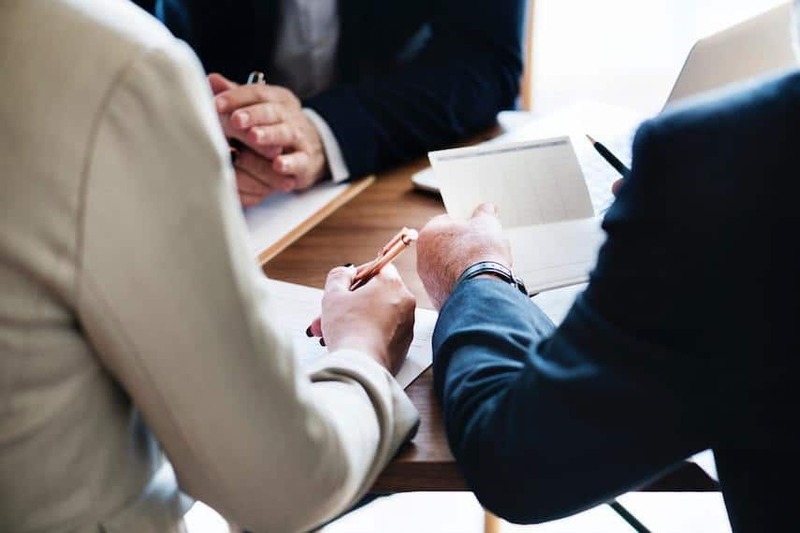 Pouring over that many financial transactions can be tedious, but it will ensure you don’t miss any quarterly or yearly bills such as insurance payments. Once you have a year’s worth of financial data to review, make a list of recurring expenses. Without looking at a year’s worth of transactions, it can be easy to miss or forget certain expenses. Make note of direct deposits, bills, automatic transfers, recurring payments, subscriptions, linked accounts, and so on. Also list out any bank services you currently use such as paper checks, a safe deposit box, mobile app, etc. This will serve as your to-do checklist of what you need to switch over to your new account when you change banks. Now that you have your list of recurring deposits and payments, you’re ready to switch bank accounts. Start by updating all deposit sources with your new bank information. This could include your paycheck, dividend and investment earnings, social security payments, pension and annuity income, etc. Keep in mind that it can take a couple of pay cycles before the information is updated. Stay on top of both your new and old bank accounts so you know when everything has moved over. Update all banking information for any recurring deposits and payments such as utility bills, cell phone payments, and insurance premiums. Don’t forget to change out your banking information for any online payment services you use. Before switching banks entirely, balance your checkbook. This is your chance to review your accounts and ensure there are no outstanding checks or overlooked electronic payments in your old account. It may take a few weeks before the last check you wrote clears your account, so keep enough funds in your old account to cover any late payments. Review both accounts over the next month to ensure that all recurring payments have been changed over. Make sure you don’t get charged twice for a bill during the process of switching bank accounts. Also, keep on top of account balance minimums for both banks to avoid paying unnecessary fees. The last step is to close your old account. Before you do that, you need to verify that there’s no more activity or transactions you forgot. If you can keep your old account open for three months, that should ensure you didn’t forget any quarterly payments. Keep a few hundred dollars in it to cover the unexpected. Once you’re ready to move everything fully over to your new bank, it’s time to close the account. Contact your bank and ask how to shut down the account for good. Request a letter from the bank showing that your account has been closed and all requirements have been met. Then withdraw any remaining money. You can either do this in cash if the amount is small or by requesting a cashier’s check. If both banks use Zelle, take advantage of it since this is often the fastest way to move money for free. Don’t write yourself a check since you run the risk of your bank not processing the check before closing the account. You may still have some questions or concerns about switching banks. That’s completely understandable. Below are the answers to the most common questions people have when it comes time to switch bank accounts. Switching banks is relatively easy as long as you follow the steps outlined above. Make sure you review all automatic payments and deposits and move them over to your new financial institution. Try to time the switch between billing cycles to ensure all bills are moved over before the new payment clears. Keeping your old account open for a few weeks will help you identify any checks or recurrent payments you may have missed. Switching banks will likely not affect or hurt your credit score. Banks screen potential customers using a database that tracks bad banking history rather than credit information. If you apply for an overdraft protection program or line of credit, a bank may do a soft or hard pull on your credit. In this case, a hard pull will result in a dip in your credit score. That’s why it’s a good idea to limit the number of checking accounts with overdraft protection. Banks don’t report your account information to credit bureaus. This means you won’t lose points for closing an old account. On the flip side, however, your credit won’t get a boost from any long-standing bank accounts. If you do your research and follow all of the steps outlined, changing bank accounts will not cost you anything. However, if you miss any recurring payments or bounce a check during the process, you can be hit with fees. That’s why it’s a good idea to keep your old account open for three months with enough money available to cover any forgotten payments. Don’t be afraid to make a change if your current bank is not meeting your needs. Your banking needs will evolve over time, so pick a financial institution that aligns with your current goals. Find a bank that supports your goals and works with you to ensure you have a good experience. Changing bank accounts doesn’t need to be stressful. It can be a good step in the right direction toward getting your finances in order. Take the time to do your research and find a bank that offers the services and options that will help you meet your financial goals. Once you make your money a priority, you can focus on building good financial habits. Learn how to prepare and get organized, where to find coupons, and tips for saving the most. 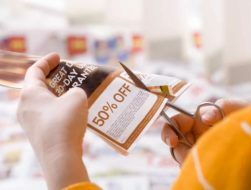 This step-by-step guide will teach you everything you need to know about couponing and using it to save money in all areas of your life.